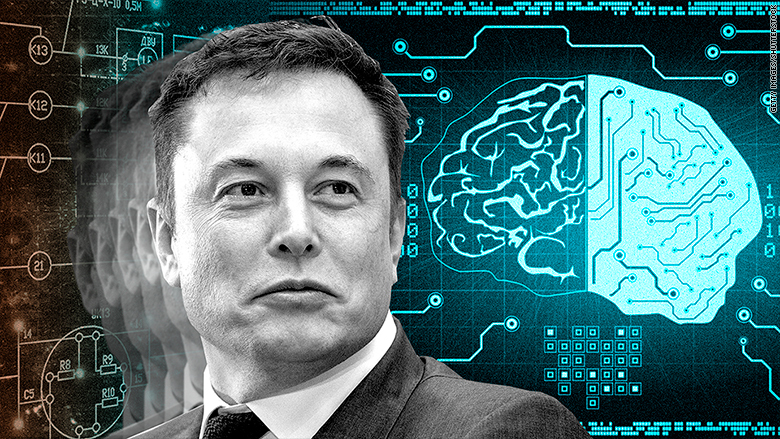 Elon Musk's next move: Merging brains and computers? Elon Musk is teasing his followers about his next bold move: hooking up brains with computers. The billionaire entrepreneur tweeted Tuesday that he's preparing to launch Neuralink, a new venture that the Wall Street Journal reported would focus on "neural lace." According to the report, the new technology could link human brains with computers, without a physical connection, by implanting tiny electrodes into the brain. It could enhance memory and cognitive powers by effectively merging human and artificial intelligence. Tesla (TSLA), Musk's electric car company, did not respond immediately to a request for comment. 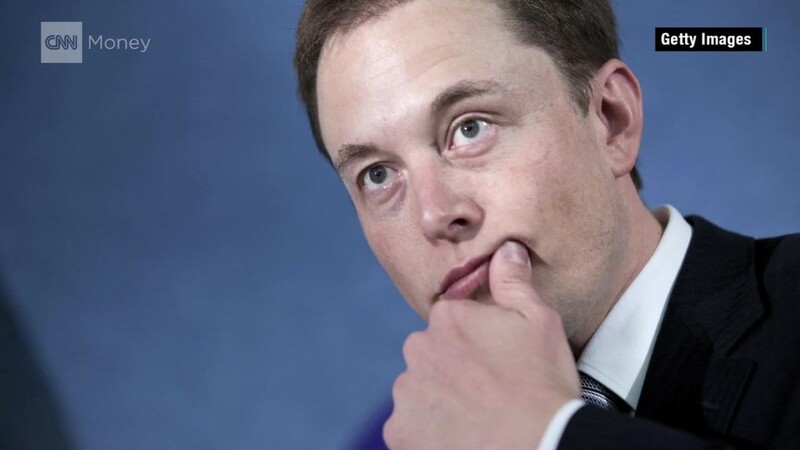 In his tweet, Musk said that more details about Neuralink would come "in about a week." Musk, who already runs several companies, including Tesla and SpaceX, admitted it was difficult to find the time for a new project. But, he said, the "existential risk is too high not to." Speaking at a conference earlier this year, he outlined his fears: the rapid advances in Artificial Intelligence means humans will either have to merge with AI or become irrelevant. "We are, all of us, already cyborgs," he said at the Beneficial AI conference. "You have a machine extension of yourself in the form of your phone and your computer and all your applications...by far you have more power, more capability than the president of the United States had 30 years ago," he said. But humans risked being left behind because of "output bandwidth constraints," he added. "We have our little meat sticks that we move very slowly and push buttons or tap a little screen...and that's extremely slow," he said. "Compare that to a computer which can communicate at the terabyte level." The problem could be solved by adding a high bandwidth interface to the brain cortex to communicate with computers. His vision, Musk said, would be for this "tertiary layer" to interact in a similar way the motor cortex sends signals to the limbs.